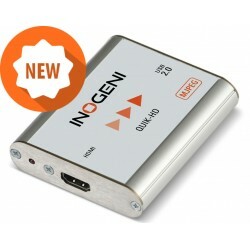 Inogeni you can record, stream and share video at near-broadcast quality, using just a low-cost mini converter and any laptop.Inogeni’s plug and play USB devices are compatible with all the essential software platforms (Webex, Skype, GotoMeeting, Hangouts, Polycom, FaceTime, YouTube, vMix, Livestream and many more). Simply use Inogeni to convert your DSLR, mirrorless camera or camcorder into a premium business communication device or online lecture tool. 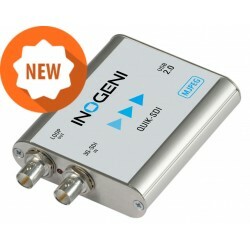 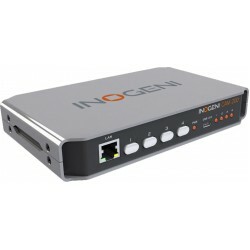 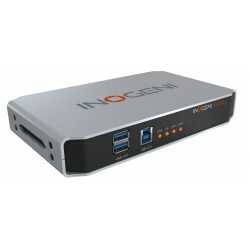 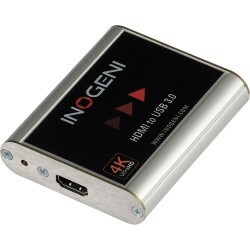 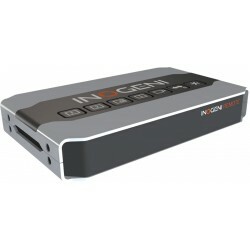 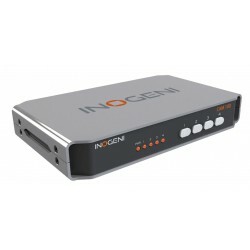 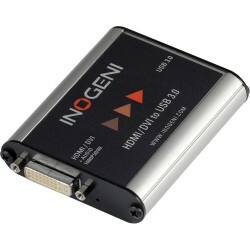 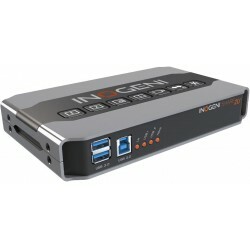 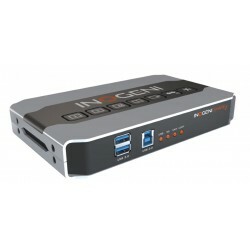 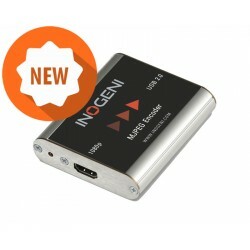 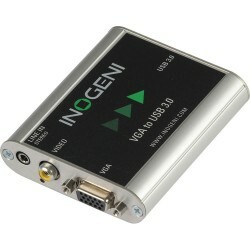 Inogeni 4K Ultra HD to USB 3.0 Converter requires no drivers and works on a..
Inogeni CAM100 HDMI-USB 2.0 Camera Selector your meeting can be as spontane..
Inogeni CAM200 HDMI/VGA Camera Selector you can plug your HDMI and VGA vide..
Inogeni CAM300 HDMI/USB 2.0 Camera Selector is the best CAM Selector for st..
Inogeni DVIUSB HDMI/DVI to USB 3.0 Converter requires no drivers and conven..
Inogeni HDMI to USB 2.0 Encoder is the most reliable and convenient solutio..
Inogeni QUIK-HD HDMI to USB 2.0 features an HDMI input and USB 2.0 output a..
Inogeni QUIK-SDI to USB 2.0 features a SDI input and USB 2.0 output and sup..
Inogeni SDI2USB3 USB 3.0 SDI Video Capture Card allows you to capture uncom..
Inogeni Share1 Dual Video to USB 3.0 Multi I/O Capture you create your own ..
Inogeni Share2 Dual Video to USB 3.0 Multi I/O Capture features a mixer to ..
Inogeni Share2 Remote connectivity is quite simple. 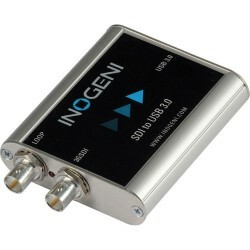 Just plug a standard RJ..
Inogeni Share2U can simultaneous capture and mix of 2x USB2 signals + Audio..
Inogeni VGA2USB3 VGA to USB 3.0 Converter is the most easy and reliable too..